Seven people rescued after gas explosion in Rostov Region – Russian ombudsman | Russian Legal Information Agency (RAPSI). 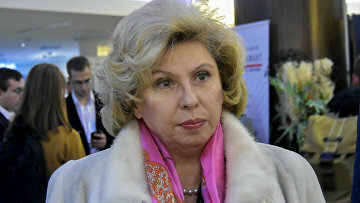 MOSCOW, January 14 (RAPSI) – Seven persons were rescued after gas blast in a high-rise apartment building in the Rostov Region on Monday, Russia's ombudsman Tatyana Moskalkova wrote on her Instagram page. According to the ombudsman, there is no information on four more residents. On January 14, two upper floors of one of the sections in a multiple family dwelling collapsed in Shakhty, a town in the Rostov Region, allegedly after domestic gas explosion. One woman died, and several people were injured. Investigators opened a criminal case over negligent homicide of two and more people.